Post-race updates from round six of the 2018 Yamaha Motor Finance Australian Superbike Championship (ASBK) presented by Motul Pirelli direct from Winton, Victoria, on race-day Sunday. 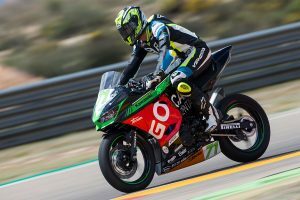 Mladin Racing’s Max Croker broke through for his first-career national Supersport championship race win in the opening 13-lap affair, taking full advantage of drama for Cru Halliday (Yamaha Racing Team) and Tom Toparis (Cube Racing Kawasaki) in the first turn. A mistake from Toparis saw him run Halliday wide, both running off-track, enabling a small group at the front to break clear. After leading lap one, Croker ultimately hit the front of the pack for good on lap three and rode away to a 2.047s victory, with Halliday managing to recover to P2 from outside of the top 10 and stretching his championship lead to 47 points. Third was Nic Liminton (Yamaha) in an inspiring performance, holding Damon Rees (Honda) at bay, as Broc Pearson (Yamaha) was fifth. 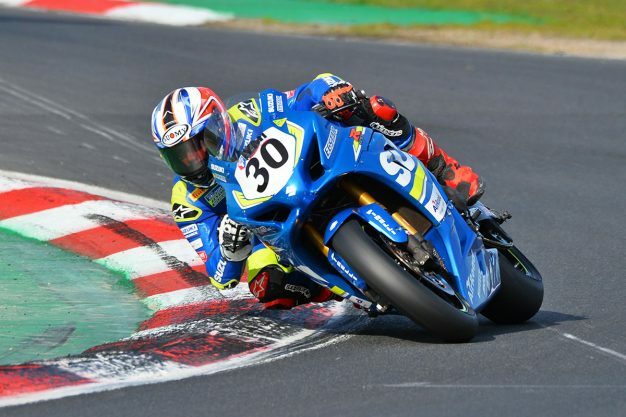 Positions six through 10 were filled by Toparis, Scott Nicholson (Next Gen Suzuki), Giuseppe Scarcella (Kawasaki BCperformance), Jack Passfield (Yamaha) and Ty Lynch (Yamaha). 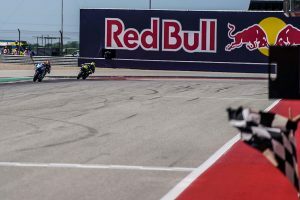 A frantic opening 16-lap Superbike encounter saw all kinds of action take place, however in the end it was once again Troy Herfoss (Penrite Honda Racing) who reigned supreme with the victory. A crash in turn one from Bryan Staring (Kawasaki BCperformance) in the initial start was enough to cause a brief stoppage, but once they got away again it was Wayne Maxwell (Yamaha Racing Team) who took charge from the front and set a new lap record of 1m20.437s on lap four. That was until he crashed out into the first corner on lap eight, handing Josh Waters (Team Suzuki Ecstar) the lead before Herfoss struck on lap 11. Another red flag was waved on lap 13 due to a fiery mechanical involving Adam Senior (Yamaha), prompting race officials to revert to lap 12 and declare the race altogether. Herfoss was the victor, as despite a late fall Waters salvaged second, with Troy Bayliss (DesmoSport Ducati) third. An admirable performance from Arthur Sissis (Honda) saw him cross the line fourth, followed by Daniel Falzon (Yamaha Racing Team), Mark Chiodo (Team Suzuki Ecstar), Ted Collins (Next Gen Motorsports BMW), Matt Walters (Swann Insurance Kawasaki), Jamie Stauffer (McMartin Racing Ducati) and Kyle Buckley (Kawasaki BCperformance). Victory in race two was enough for Halliday to capture the 2018 Australian Supersport Championship crown this afternoon, crossing the line 1.203s ahead of title-rival Toparis in a measured performance. Halliday led through the first turn until Toparis made an early move for the position and was able to lead lap one. The second lap saw Halliday counterstrike to reclaim P1 and that’s where he would remain, salvaging the overall and championship in the process. It was a great effort from Toparis to finish second, keeping race one winner Croker at bay, with Liminton and Pearson filling the top five placings. Sixth came an improved Scarcella, as Rhys Belling (Yamaha), Nicholson, Zac Johnson (Yamaha) and Passfield the top 10. Halliday won the overall from Croker and Toparis, who scored the final podium place on count-back from Liminton. 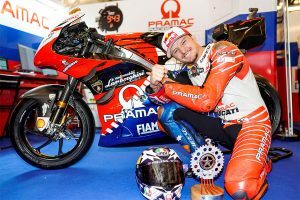 In the championship, Halliday now has the 52-point advantage he needed heading into Phillip Island’s finals next month. Following two red flags, the second Superbike race finally got underway this afternoon, in which Herfoss managed to clinch his second-career ASBK premier class championship. Herfoss rode a calculated race to fifth position despite encountering difficulties with his traction control, enough to extend a 61.5-point advantage in the series and deliver the ER Motorsport-operated team an elusive title in its first year. It was Maxwell who won race two however, comfortably riding to a 2.253s victory ahead of a rejuvenated Waters, Bayliss and Staring. Fifth came Herfoss, directly ahead of Falzon, as best of the rookies Sissis, Buckley, Rees and Scott rounded out the top 10. Overall for the weekend it was Herfoss who sealed his fifth win in a row, joined on the podium by Waters and Bayliss. The standings now see Herfoss unbeatable at the top of the charts, with Maxwell now second, just seven points ahead of Bayliss in the battle for second to be decided at Phillip Island’s finals.